Already listed with our diving guide and directory for your business? Discover the excitement of Phuket scuba diving. come closer to underworld water on holidays in Phuket! 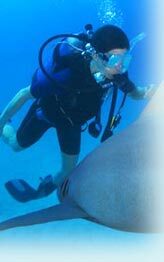 Scuba diving in Phuket and around this island as a way to enter the deep blue sea for explores body of water. Additionally, Phuket offers several unusual scuba diving attractions including seacaves, intact shipwrecks, and underwater interpretive trails. Colona Diving & Tour, M/V Colona VI, the professional organization in liveaboard scuba diving cruises from Phuket and scuba diving in Thailand. Joy Dive offers you an opportunity to experience diving the new way with high tech underwater scooter.